After a Week 13 with plenty of excitement to rival the rivalry weeks of the past, Tuesday night’s penultimate college football playoff rankings were…disappointing? Boring? In a season that has defined college football’s unpredictability, the Selection Committee’s most recent rankings were quite close to what was expected, a rare and calm status quo. The top 5 teams from Week 12 won their games as they needed to which resulted in no change at the top. 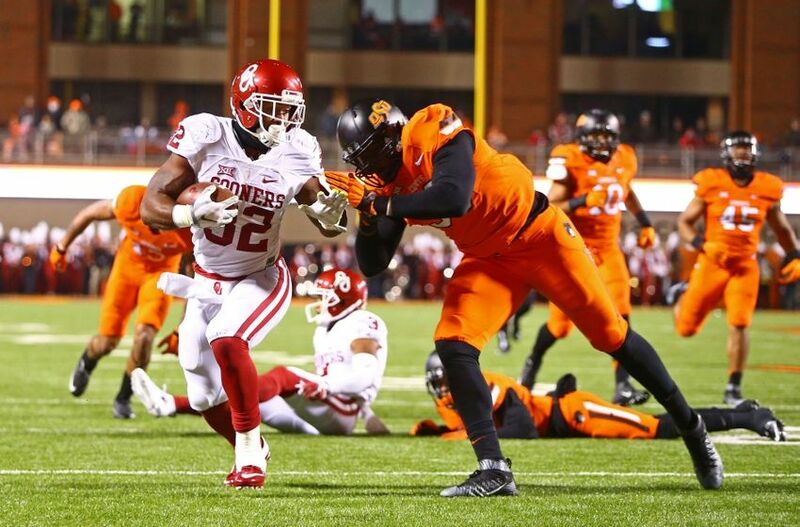 Though some speculation was encouraged, Oklahoma dominated on the road in Stillwater to secure the first conference title of the season and Michigan State trounced Penn State to win the Big Ten East while Clemson and Alabama both had difficulty putting away lesser opponents, ultimately Saturday’s results did not prove that a changing of the ranks was needed. Oklahoma’s win on Saturday has all but guaranteed them a spot on the second College Football Playoff. After winning three straight games against opponents ranked in the Committee’s top-20, they look as good as any team in the country and despite not playing in a conference championship and with no games remaining to impress the voters, the Sooners are sitting confidently at the third spot, which is precisely where they want to be. The ideal situation for Oklahoma would be to end up as the 2nd or 3rd seed in next Tuesday’s final rankings. This would give them the opportunity to play at the Cotton Bowl in Dallas just a three hour car ride from the Norman campus, making it as close to a home game as could be hoped for (not to mention a desire to erase the memory of their one blemish in the stadium earlier this season). The BIG-10 has made a statement as a powerful conference with three teams occupying the 4, 5, and 6 spots. Iowa and Michigan State will play this Saturday for the conference title in what will be a playoff elimination game for both teams. It’s a win-and-you’re-in situation that acts like a playoff quarterfinal, and arguably the first true test for the undefeated Hawkeyes. 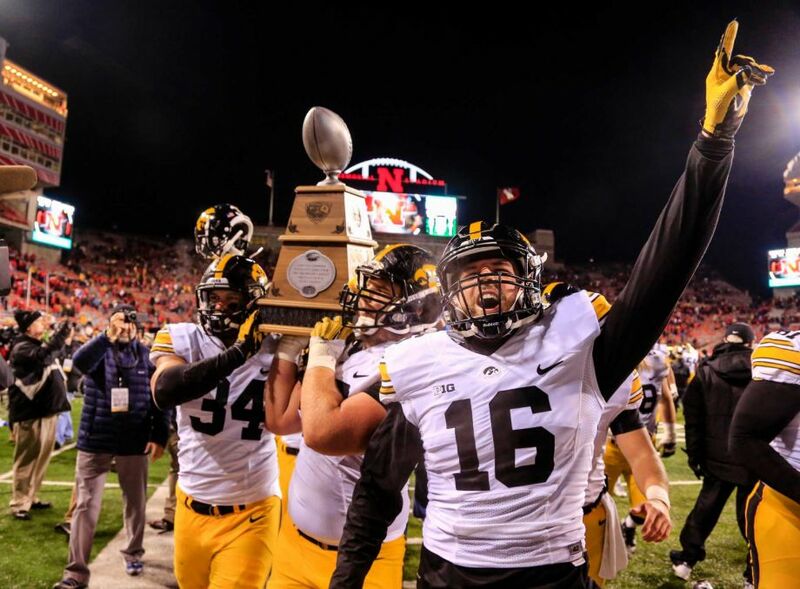 As one of only two remaining unbeatens in college football, Iowa has yet to dismiss its critics, due in part to the fact that is has beaten only one team currently ranked in the Committee’s top-25. Saturday’s matchup will be their opportunity to show that it deserves the praise they have argued for all season. North Carolina’s steady rise to number ten presents an interesting matchup for the ACC Championship, especially considering it will be played just 2 hours away from both schools. The Tar Heels have looked impressive recently and will be a tough opponent for the undefeated Clemson Tigers in what could sneakily serve as another playoff quarterfinal. A North Carolina victory against the season long, undefeated, number 1 team in the conference championship would be a major resume boost. Life still remains for Ohio State and Stanford. Not much, but they’re saying there’s a chance, so long as everything goes right. The two schools find themselves at 6 and 7 respectively. Either Michigan State or Iowa will lose Saturday (a rare college football guarantee), which will afford both teams an opportunity to move up at least 1 spot. But they will need either Clemson or Alabama to falter as well in order to find an open spot in the playoffs.Despite its lower ranking, Stanford has the better chance since it will play in the PAC-12 championship this Saturday and has another shot to impress the Committee. The Buckeyes on the other hand are clinging to the hope that they have looked “unequivocally” like a better football team, a debate that Committee Chair Jeff Long has mentioned has rarely been unanimous for any team. So to Conference Saturday we go, and the only thing we do know has been true of the college game regardless of BCS or a Playoff Committee, if the Top-4 want to remain the Top-4 they have to go out and show it. Win and you’re in.